HOW CUTE IS THIS??!! 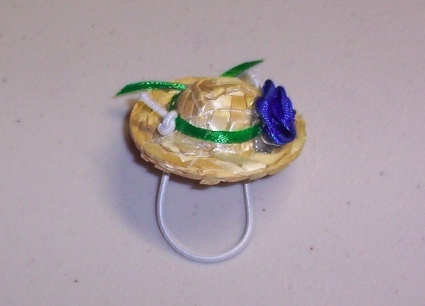 This cute little Straw Easter Hat is trimmed with a Green Ribbon and as Blue Flower. 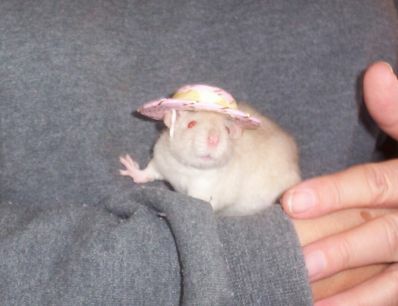 This is a smaller hat then the one in the photo below, this hat is only 1 1/2" in diameter from brim to brim.